The black font/wood background/blue links were really difficult to view – yea, near impossible for my eyes! Lol. You might consider revising, especially if I am not the only one mentioning. Occasionally the website does not load properly in different browsers. It sounds like the white background that goes between the text and the wood background failed to load for you. Try closing the browser, clearing your history and then reopening the site. Hopefully that will cause it to load properly again. Hi Dave. For several years I had the wording of Hess’ telegram the same as what you have in your Grave Thursday posting. Every book I had at that time said the same thing. But on July 17, 2012, I received the following email from Tom Bogar, and I changed what I had on my website. I, too, accepted the prior version at face value and used it in my last book, on American presidential theatre going. In my next book, though, on the actors, managers and stagehands of Ford’s Theatre the night of the Lincoln assassination, I am using the correct version. Thank you Roger for this information. Like Tom Bogar, I got the original wording, and the image thereof, from an article Leonard Grover wrote and had published in Century Magazine in 1909. I shouldn’t be surprised that his memory of the wording was slightly incorrect. His writings about Lincoln and his theater are filled with many other exaggerations and small errors. Some day I will have to consult those Butler papers for myself. If that is the correctly pictured tombstone for Hess and I assume it is, I wonder if the information regarding military service is incorrect and belonging to another Clarance D. Hess. 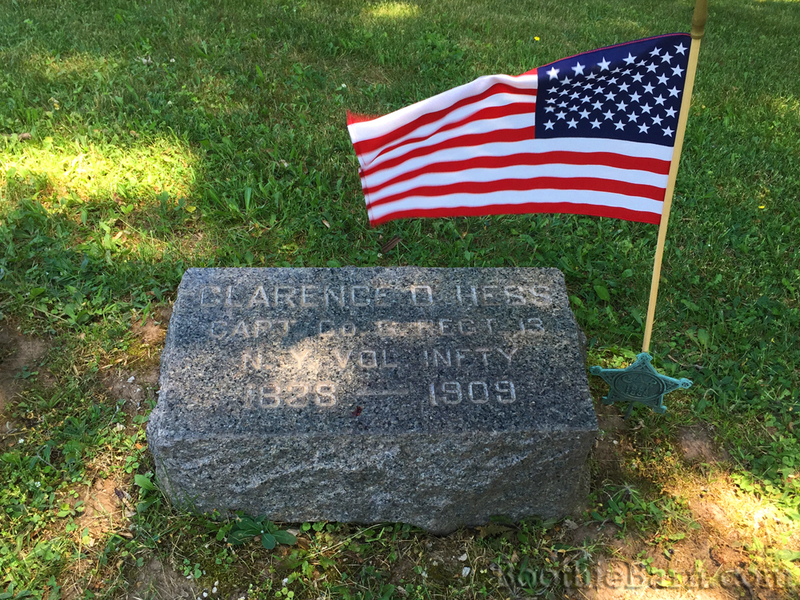 Per a CW database, the only Clarence D. Hess listed enlisted at 24 years old (thus born circa 1837) in Elmira, NY to the 13 Infty and was promoted to Captain in 1862. He was discharged for disability in 1863. Does not seem like the same person’s information. Certainly not the first time such misinformation has been posted on a tombstone. Excellent post about an obscure figure who must have wondered for the rest of his life about what happened to the mind of his friend, JWB. Did Hess leave any known recollections? I’m very confident that this is the grave of the right man. Kate and I stopped to visit Mr. Hess’ grave while driving from Maryland to Illinois this past summer. With the seemingly inaccurate birth date rectified, all the other information falls into place. There is some debate about his true first name. The stone says Clarence but the obituaries that went out all called him Charles. He mainly went by C.D. Hess or C. Dwight Hess professionally which makes it difficult to know what his true first name was. As far as I know, Hess didn’t leave any personal recollections behind aside from his statement and trial testimonies. His brother-in-law and theater co-owner, Leonard Grover wrote about Hess in his recollections about Lincoln. However, according to the website I linked in the article about Hess’ operatic companies Hess’, “obituary stated that he had started to write an autobiography but did not finish it.” I have not been able to find the obituary that mentions this fact. But perhaps there is something of Hess’ writings still in La Porte County, Indiana or with his descendants somewhere. I alway look forward to your posts. Thanks again for the hard work! I’m glad you’re enjoying these Grave Thursday posts, Wade. Thanks for the post. You have to feel sympathetic for Hess and the Grover’s, this was to be a big night for them. The president should have come there that night but they were up staged by Laura Keene. 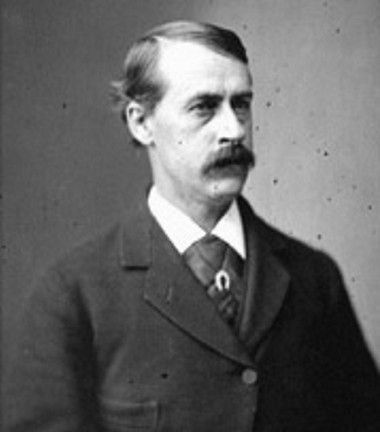 Hess upon learning of the assassination at Fords he has to announce to the patrons and to Tad his father has been shot. Also in the theatre was the Petersons who get home to find out the Presidents dying in their house. I’m not sure why you omitted Booth’s visit to the Theatre on the afternoon of the 14th where he meets fellow actor John Matthews whose in the play Our American Cousin to give him the infamous letter to the National Intelligencer.This is the one of the most significant pieces of the Lincoln Assassination.Thanks again for the post.